Are you looking for a housing association home in the Scottish Borders? Eildon Housing Association has homes for rent in many Borders towns, including Galashiels, Hawick, Jedburgh and Melrose. We advertise our rental homes through HomeHunt. Please click here to view this week’s list of homes for rent. Click the list below for information on other types of Eildon Housing Association properties. To see a map of our current housing, including sheltered and assisted housing, click Our Homes. For an update on new housing we are currently developing in the Scottish Borders, see New Developments. Mid-market rent means renting a quality Eildon home on a short assured tenancy (6 months at a time), at a rent level that is below the market rate, and above the social housing rate. These rental properties are ideal for households on a modest income who don’t rely on benefits. This can particularly help households who are struggling to afford private renting or home ownership, but are unlikely to be given priority on a social housing waiting list. You can read more about mid-market rent on the Scottish Government website. Any Eildon mid market homes available to rent will be posted here. If you’d like to be added to a mailing list for future vacancies, please email us or call us on 03000 200 217. Eildon Housing Association occasionally has garages available for rent in the Scottish Borders. Any garage properties that become available to rent will be posted here. There are two possible routes to buying a property with a housing association. 1. Shared Equity: There is currently a Scottish Government scheme, known as LiFT, which allows people to buy Shared Equity in a property. Shared Equity is where you buy a new-build home from a housing association, and you pay for a majority share, and the Scottish government pays the rest. You own the home, and when you sell it, the Scottish Government receives its share percentage back in terms of sale value at that time. To read more about this option, click on the following link: Scottish Government. 2. Shared Ownership: This provides an opportunity for people to become part owners in a property which they might otherwise be unable to afford. The sharing owner purchases a share of the property, and pays rent on the remainder. 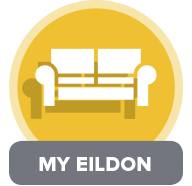 While Eildon does have some existing shared ownership arrangements, we have no plans to develop any further properties for this purpose. If this happens, any such properties will be advertised on the open market, and prospective purchasers approved by Eildon Housing Association as eligible for shared ownership. Housing Options Scotland is an organisation that provides free advice to disabled people, veterans and older people on finding and owning the right home in the right location. For more information and to apply to this service, please visit their website at Housing Options Scotland.